Realtor Designations - Are They Really Worth it? Realtor Designations – Are They Really Worth it? Real estate designations specify skills or expertise a realtor has acquired through additional training and experience. They make clients aware of any specializations, and increase your specific skills in areas of buying, selling and contract negotiations. This article will lay out the top realtor designations to acquire, how to get them, and how much they cost. 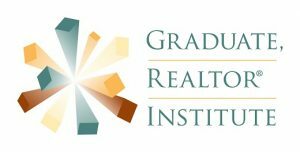 The Graduate Realtor Institute (GRI) designation shows that a realtor has taken the initiative to become a specialist in their profession, and it includes courses on ethics, technology, and transactions. The education requirements and cost for the GRI vary by state, but will be approximately 60 to 90 hours of course time and about $900 to $1,100 to complete the requirements. The hours are organized through courses, ranging from three to six hours, on topics such as marketing essentials and contract law. To earn a GRI designation, you will need to take courses on legal and regulatory issues in the industry, as well as technology and a more in-depth exploration of the sales process. It is the “next step” after earning your real estate license, and is comparable to a graduate degree after college. Your GRI designation is a way to make your services stand out at listing presentations, and allows clients to see that you have an increased expertise in helping them buy or sell their property. Having a GRI designation may give you the edge you’re looking for in the competitive real estate space. Becoming a licensed real estate broker (LREB) is perhaps the most important of all the realtor designations. This designation allows you to work independently, open your own brokerage, or command higher commission splits if you decide to work for another brokerage. The cost and requirements of this real estate designation vary by state. In New York, the training is 45 hours and costs $249 at McKissock online. For some realtor designations, prior experience is required, and this is no exception. While each state varies, in New York you need to be at least 20 years old, worked at least two years as a licensed real estate salesperson, and accrued 3,500 experience points. Experience points can be gained by completing a residential sale, rental, or commercial transaction, and range from 150 points for a rental to 400 points for a sale. Becoming a broker is the most important designation to advance your career. While the path to broker has a number of prerequisites, the experience and authority it brings is unparalleled. The Accredited Buyer’s Representative (ABR) designation is available for agents who have closed at least five residential real estate transactions where they represented the buyer. The course offers more in-depth training and indicates expertise in representing buyers in real estate transactions. There is one course and a designation elective which is required. The designation typically runs around $318 to complete, but may vary according to school and location. A common method to complete these courses in through online mediums, which are self-paced. In these cases, you can complete the courses as quickly as you like, or commonly have a window of up to 36 months to complete the requirements. The ABR designation gives you expertise in servicing your buyer clients. In tight real estate markets where negotiations can determine who gets the home, buying clients can be assured that you have the expertise to get the job done. 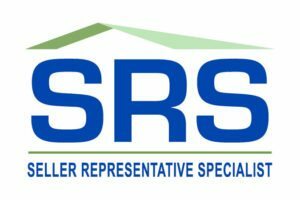 The Seller Representative Specialist (SRS) designation trains realtors in every facet of working with sellers. You’ll learn how to increase your listings, grow your business, gain in-depth knowledge of the National Association of Realtors (NAR) code of ethics and standard of practice, and learn the details of state licensing laws that apply to represent sellers. The SRS designation requires documentation of five closed transactions where you represented the seller, and approximately 14 hours of coursework, usually comprised of an SRS course and one elective to receive the designation. The designation typically runs around $310 to complete, but may vary according to school and location. The Seller Representative Specialist designation helps agents to truly revolutionize how they work with sellers in today’s markets. A fantastic way to help yourself and your listings truly stand out from the crowd, utilizing the best and most current theory, legal knowledge, and marketing strategies available. 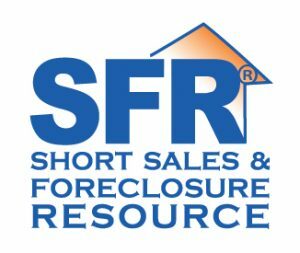 The short sales and foreclosure resource (SFR) designation will prepare realtors to work in the complex and often risky world of short sales and foreclosures. You’ll learn how to qualify sellers for short sales, develop a short sale package, negotiate with lenders, and mitigate risk for both you and your buyer. There is one course with nine hours of training, and the cost is approximately $130. Short sale and foreclosure properties are specialized real estate ventures, and the SFR designations helps you navigate and dominate them in a way that other agents simply do not have knowledge of. This designation gives you, and those you work with, the ability to operate with confidence in these transactions. The Certified Distressed Property Expert (CDPE) designation is a non-NAR affiliated certification course that trains realtors and real estate professionals in short sales and foreclosures. Some realtors reported that the course is more in-depth, and offers more insight into working with distressed properties than the SFR designation courses. However, it is also significantly more expensive. The training is one course and offered online for $599. A more in-depth and expensive designation, the CDPE certification is for those who may want to make distressed properties their primary career path. Most report that although more costly, this designation is more comprehensive to their approach to distressed properties, which include short-sales and foreclosures. The Seniors Real Estate Specialist (SRES) designation shows competency and skill in dealing with the unique real estate complexities that seniors can encounter in real estate transactions. With this realtor designation, an agent will learn how to help seniors most effectively distinguish the prime differences in housing options, and gain insight into tax laws, probate, and estate planning. The SRES 12-hour course is offered online over a two-day period and costs $295. 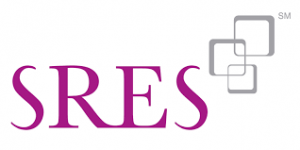 There are three requirements to have the SRES designation. You must complete the two-day real estate designation course, be a member of NAR, and have membership in the SRES council—which is free for the first year, and $99 per year thereafter. The SRES designation can be a determining element to working with seniors and the many families who will have to navigate housing on their loved one’s behalf. During listing appointments that represent such families, the SRES designation gives families and seniors the confidence and appreciation that you have the skills to navigate this space with them effectively. The Electronic Pro (e-PRO) designation allows realtors to distinguish themselves in their online capabilities and fluency. 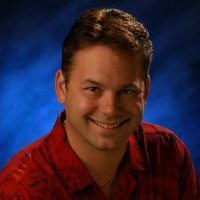 The e-PRO courses cover the three basic areas of online marketing, reputation management, and mobile office capabilities. It is here that realtors can learn everything from social media best practices to email marketing and content development. The requirements include 12 hours of training, and can be done online for $219. The e-PRO designation gives real estate agents skills to market properties effectively and competitively, and allows them to navigate listing appointments with confidence because of their abilities. Explaining this designation to clients can be a point of differentiation, especially for those who hold expired listings, FSBOs, or others who have hired ineffective agents in the past. 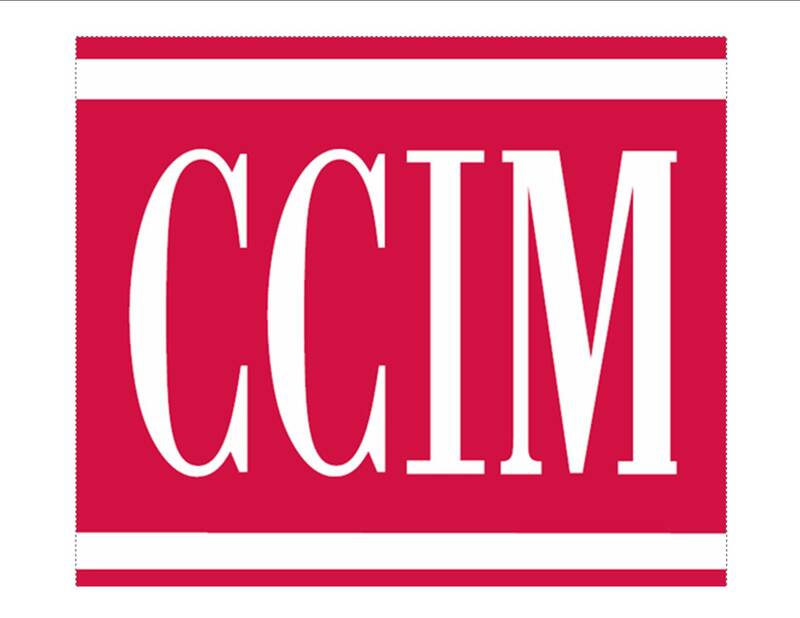 The Certified Commercial Investment Member (CCIM) designation offers in-depth training on financial analysis, market analysis, negotiation, investment analysis, and the ethics of commercial transactions. Commercial real estate presents challenges that are far different from those of residential, and the CCIM certification can help to assist in that knowledge and skills gap. CCIM is considered one of the more challenging realtor designations to get and is well-respected in the industry. To get this designation, you must have worked in commercial real estate for two years and submit a portfolio demonstrating this experience. The cost for the certification will vary with professional experience and prior coursework. The self-paced online coursework includes 14 courses. There are numerous fees to consider, including a $100 portfolio submission fee, up to $1,365 per course (for NAR members), and $595 annual dues to CCIM. The CCIM designation is a must-have for commercial real estate and can help establish expertise in that area of the market far beyond what initial real estate training provides. Certified Residential Specialist (CRS) is the highest credential awarded to residential real estate agents and brokers. The coursework offered for CRS designation focuses on increasing sales, marketing, investment properties, and more. CRS members also benefit from networking opportunities from joining local CRS chapters and receive customized marketing materials to send to clients. The coursework required varies between 16 and 48 CRS course credits, depending on the transactions and sales volume number of the agent. Elective credits are also required. There is a $75 application fee and annual dues of $195 for this designation. A CRS specialist provides any agent or broker with a designation of the highest caliber. It’s like the doctorate of real estate, and signals both to clients and future brokerages that you’ve taken the time, made the effort, and have the skills to be a master of your craft. This can be useful in negotiating splits and future brokerage moves, and is also impressive to present to potential clients. What’s the Best Realtor Designation for Newer Agents? When comparing realtor designations to the needs of new agents, the GRI designation comes out on top because of its availability to those with fewer than five years of experience, the income boost it seems to provide, and that it covers general real estate topics that do not require specialization. Although most realtors do not attempt to earn a designation unless they’ve already been in business for a while, the GRI designation certainly seems to be associated with an increase in income over others without the designation. During the last statistical gathering by NAR comparing the two groups in 2012, the median income of GRI designees was $61,000, while the median income of non-GRI designees was $33,000. Will Realtor Designations Help Me Close More Deals or Earn More Money? There are a few different ways that getting a designation or certification can potentially help you close more deals and make more money. The designation is only as good as the agent who has earned it, but being a go-getter with an increased skill set has the potential to wow clients, improve your networking, and give you some leverage in commission negotiations. Most clients get some assurance from hiring a professional with some advanced training or certification. While most clients will not know what the initials after your name stand for, on a difficult pitch, highlighting your abilities and credentials and explaining what they are might get your presentation further consideration. Realtor designations provide coursework that is designed to train agents in material and skills that are not covered in-depth within the general real estate licensing coursework. Enhancing your own skill set is one way of giving yourself an advantage to close more deals or increase your pipeline of leads. Many designations have networking events, and another benefit of real estate designations and certifications is networking. Once you have a designation, you can then network with other realtors who share your designation, sharing referrals and tips that can help bolster your career even further. Another benefit of going through the time and expense of getting realtor designations is the possibility of leverage when negotiating commission splits at brokerages. If your sales volume for the year is respectable, having certifications might be enough to put you over the edge with a new hiring broker, who may see increased value in what you bring to the table. The two types of realtor designations you can acquire during your career are private and NAR-affiliated. Private real estate designations are independent companies that offer a designation for agents. NAR affiliation is through the National Association of Realtors, guaranteeing authority and trust. We examine the pros and cons of each type of designation below. Private designations present the unique challenge of vetting the authenticity of coursework and the designations themselves as compared to NAR-affiliated certifications. Our list included all NAR-affiliated designations (aside from the CDPE certification) to help realtors navigate with confidence. The reason for the inclusion of the CDPE was that thousands of realtors have taken the CDPE certification, and everyone we spoke with rated it consistently higher than SFR, the analogous NAR-approved designation. NAR affiliated designations and certification have been vetted by the National Association of Realtors, and are considered reliable and trustworthy. While the trustworthiness of the course does not guarantee a return on investment, these are real estate designations that are recognized industry-wide and are well-respected. Realtor designations can be a boost to general skills, or a course of action that helps solidify your expertise in the industry. 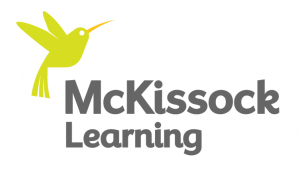 If you’re an agent and you’ve been thinking of taking the next step to become a broker and finally open your own firm, feel free to check out McKissock. With a great reputation in real estate training and online options available, they can help get you to the next step. My question is, our brokerage is considering withdrawing from our local board, which would also withdraw our membership in NAR. Will the designations that our agents have earned, still be in affect without the NAR membership? GRI, etc. Our annual NAR fees were paid thru our board for 2018 in January 2018. What is involved in starting your own designation? Do you mean offering a class of some kind and training agents who then get a designation? To the best of my knowledge there is no legal process, but to get the designation recognized by NAR might be an uphill battle. Great article, I like how you objectively reviewed the designations and their pros & cons. While most agent like myself agree that the general public doesn’t understand them nor their value; we Realtors understand the invaluable benefits of the training and advanced services we can provide our clients for having earned them. Thanks for including me in your article Emile! I’ve posted it on social media and my ActiveRain Blog. Glad you liked the article and we appreciate your insight.